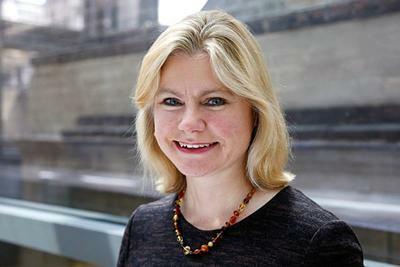 Prime Minister Theresa May has appointed University of Southampton graduate Justine Greening MP as the new Secretary of State for Education and Minister for Women and Equalities. Ms Greening graduated with first class honours from Southampton in 1990 with a degree in Business Economics and Accounting after attending her local comprehensive school in Rotherham, South Yorkshire. From September 2012, she served as Secretary of State for International Development having previously been Secretary of State for Transport (2011-12) and Economic Secretary to the Treasury (2010-11). Ms Greening was a finance manager at Centrica plc before being elected as a Member of Parliament in May 2005, representing the constituency of Putney, Roehampton and Southfields. Following her election she was appointed as a Vice Chairman of the Conservative Party, with responsibility for youth and later became a Shadow Treasury Minister and Shadow Minister for London.